Since I first met these gorgeous sisters in 2010 I have photographed them 12 times including annual sessions and First Communion portraits! Every time I see them I love to catch up and can’t get over how much they have all grown up!! Here is one of my favorites so far from our session last week at the park. Mom always does an amazing job at picking out the perfect outfits too!! 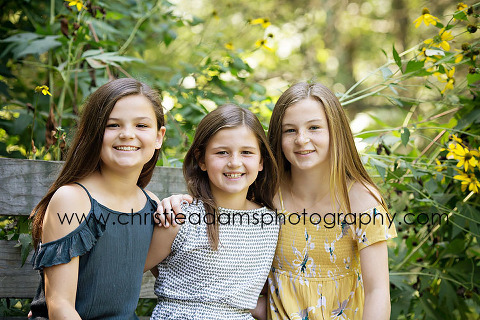 Christie Adams Photography is a northern NJ children’s photographer with a studio in Glen Rock (Bergen County). In business since 2007, Christie has photographed over 950 families from all over New Jersey and specializes in timeless and classic portraits of babies, children and families. This means, minimal props are used and nothing fake is added in Photoshop which will quickly date your photos. Keeping your images clean and classic will ensure that they look just as beautiful on display in your home decades from now as they do today.